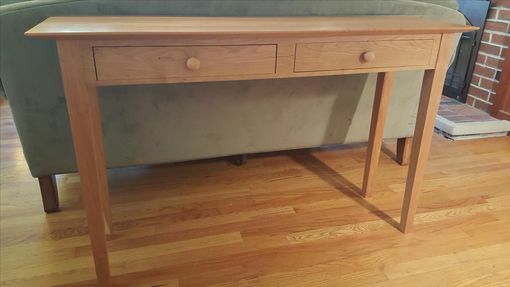 Shaker-style solid hardwood sofa console table with two drawers. 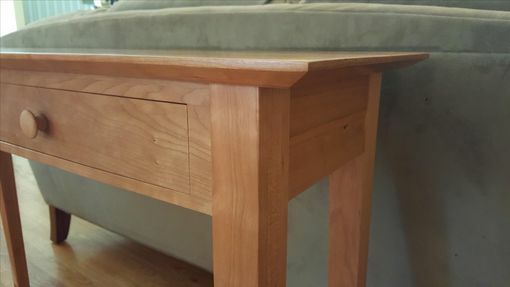 Simple, clean lines. 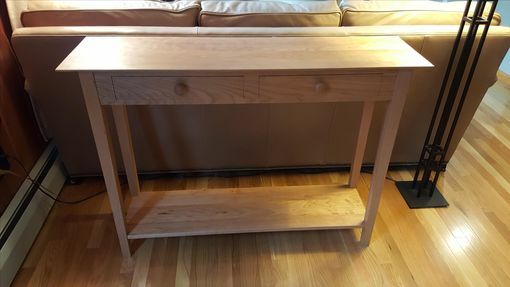 Tapered legs, beveled table top edges. 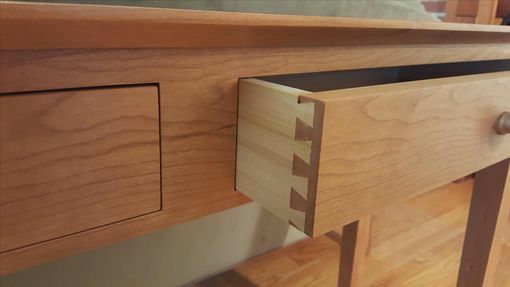 Drawer fronts assembled with half-blind dovetail joints. 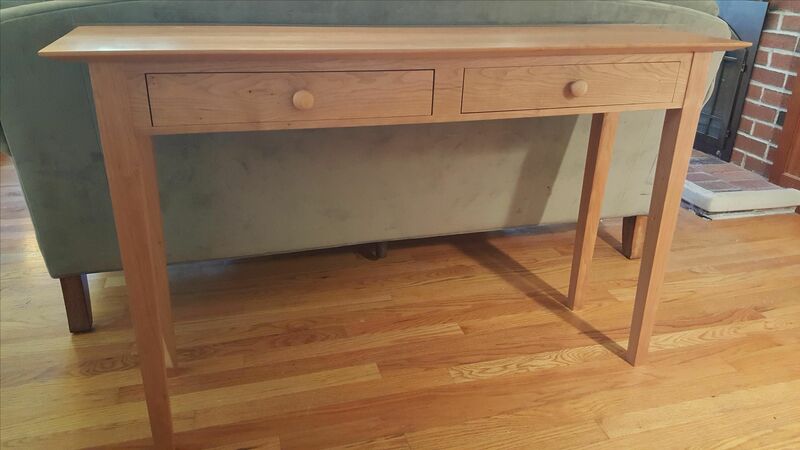 Clear polyurethane, hand rubbed finish. Size variations available upon request. NOTE: SHIPPING RATE IS AN ESTIMATE ONLY. Freight shipping cost depends on your location and distance from New Hampshire. Contact me and I will get you a more accurate cost.